By understanding more about the performance of your home architecture, you can begin to consolidate the cost of home plumbing repair work. 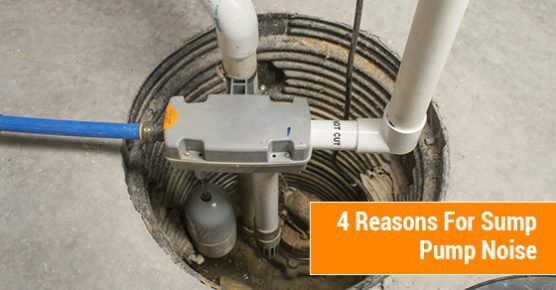 Our plumbing solutions team has significant experience guiding homeowners through their plumbing issues, and in this latest post, we’ll explain four possible reasons why your home sump pump is making so much noise. In some cases, your home sump pump might not have been installed properly. Many pumps, particularly those in homes within rural areas, were installed many decades ago, at a time when plumbing architecture wasn’t as sophisticated as it is now. The ineffective installation of the sump pump may lead to the pipe making a metal banging sound that impacts the entire home. A professional plumbing solutions expert can resolve the issue by rerouting the system to remove the angles and ensure streamlined flow. Standard check valves were widely installed within sump pump systems over past generations. They used to be the leading option for ensuring the optimal flow of debris through the system. Now, however, better technology is available. Standard check valves often cause your home sump pump system to emit a gurgling sound when the waste is being sent through the drain. Newer products such as spring-loaded valves can help to mitigate this problem and ensure optimal system performance over the long-term. In past generations, the most popular choice of material for the construction of sump pump motors was PVC. The material was affordable and could be used simply within the design process. But PVC-constructed motors are incredibly noisy and don’t run effectively compared with newer, self-lubricating models. It’s important to work with your local professional plumbing solutions team if you suspect your sump pump motor is constructed from PVC. They can examine the system and integrate a new self-lubricating motor component to mitigate all running noise. In some cases, the sump pump might not have enough water to ensure optimal drainage. This leads to a slurping noise that can become incredibly loud over time. By working with your local solutions expert, you can ensure you have enough water within your system to ensure effective flow and to reduce the volume of the slurping sound emanating from the system basin. Our experts are here to guide you in managing your sump pump maintenance issues. To speak with an plumbing expert today, call our offices directly!